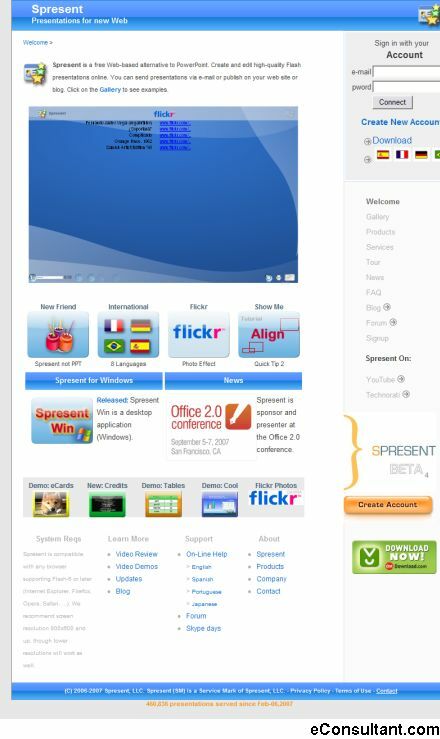 Description : Spresent is free Web-based presentations application built with Flash. Create and edit high-quality Flash presentations online. You can send presentations via e-mail or publish on your web site or blog.